Lets face it. Moms are always busy with taking care of children, laundry, dishes, dinner, paying bills, taking care of pets and some even work for a living outside of the home. 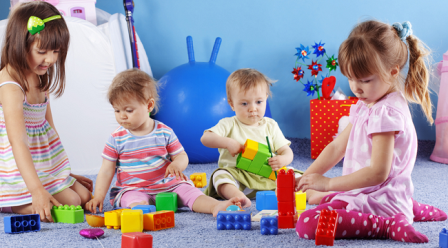 When children play in a play room or in any room with their toys, it is a little bit of breather for a busy mom but one thing you must consider at all times is your child’s safety while they play and you take a second to rest. Never let your child play with a toy that isn’t age appropriate for them. Read the safety labels. As toys are played with, dropped, thrown etc pieces start to break and they show wear and tear. Inspect your child’s toys to make sure that they are still safe and wont get hurt on rough or sharp edges or swallow small pieces and choke. Use a toy box to store your children’s toys but make sure that they lid can not fall on your child’s head or fingers.